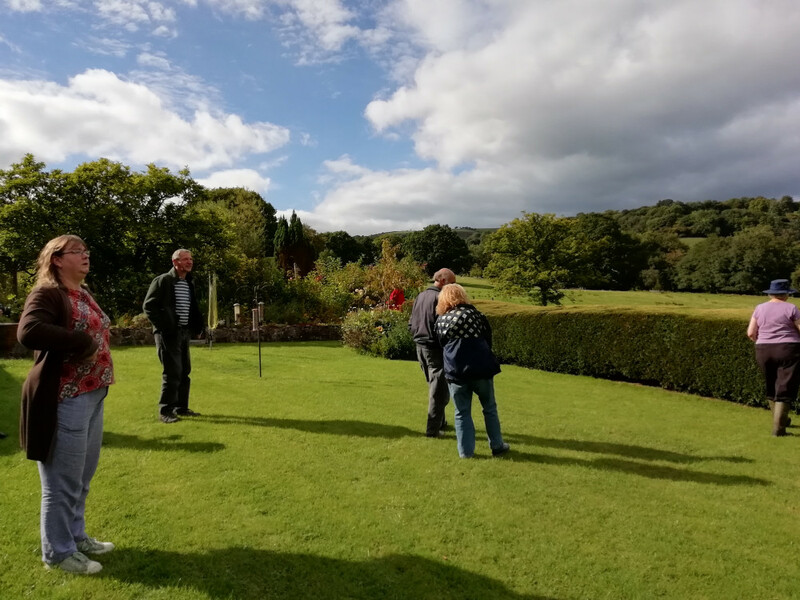 Cothi gardeners enjoyed another great evening and talk last week from Louise Austin, the project manager for the Twyi Gateway Trust, overseeing the restoration of the gardens and some of the buildings at the Bishop’s Palace at Abergwili, Carmarthen. Using slides of old maps, photographs and the current detailed plans of the programme of works up to August 2021, Louise explained the several hundred years of history and multiple changes to the grounds and buildings, along with mention of several of the notable Bishops of St. Davids who lived at the Palace up until the 1970’s when the site was handed over to Carmathenshire County Council. 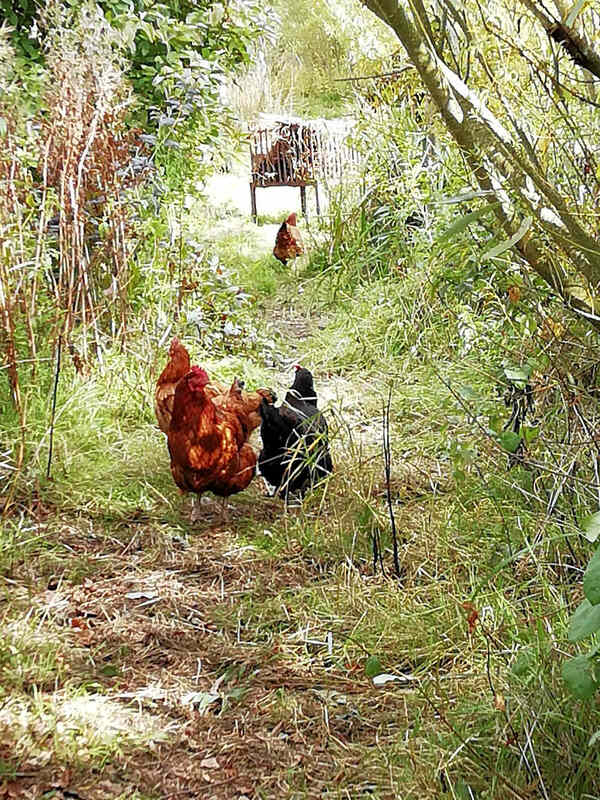 Click here for more about what’s going on over the year ahead, or if you’re interested in a trip to the site by Cothigardeners, do let Yvonne know. 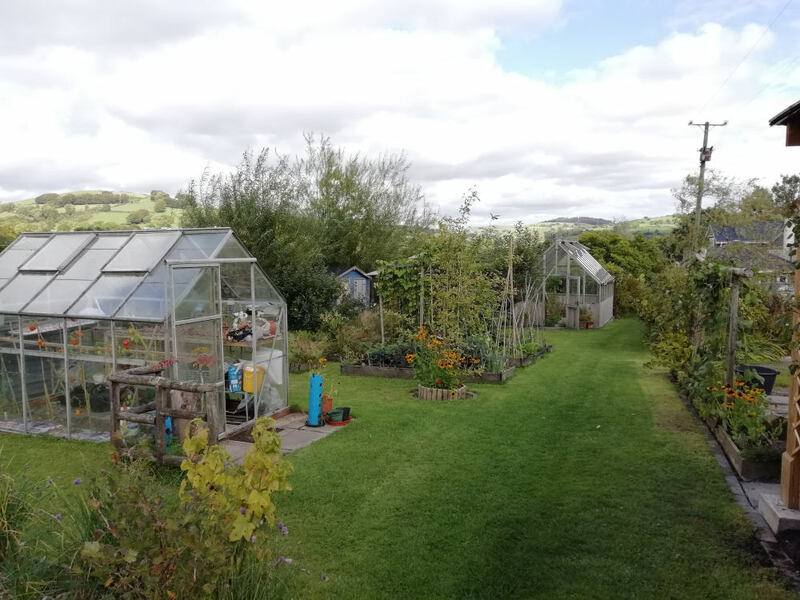 Next month’s meeting, on Wednesday April 17th at 7.30 pm sees Gareth Davies from Talybont on Usk coming to talk to us about growing plants in containers – surely something we all do in some way, and Gareth will inspire us with lots of ideas for containers in 2019. Thursday 11 April, 2pm. Farmyard Nurseries, Llandysul for nursery tour with Richard Bramley followed by tea/coffee and cake. Richard has asked whether we would like a demonstration or talk when we visit. If you have any preference, then please let Yvonne know and also confirm if you would like to attend. 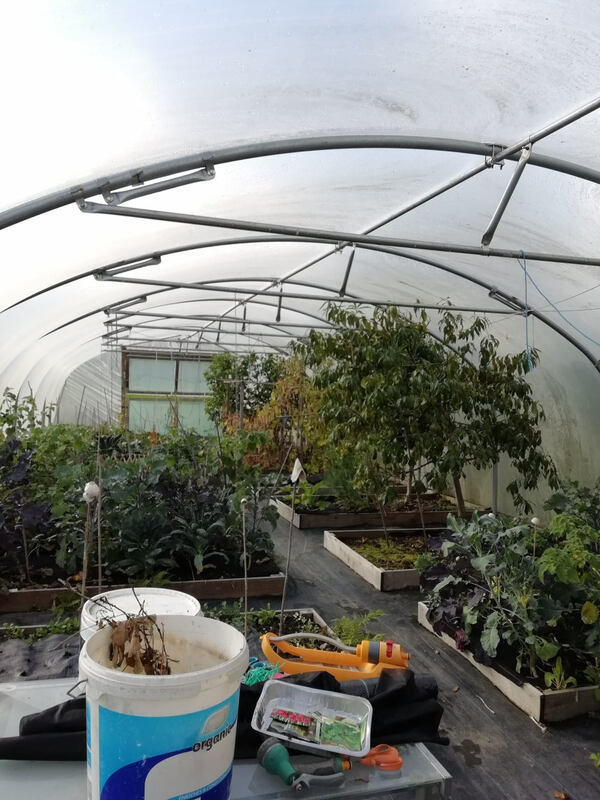 Richard has a massive range of plants including the National Plant Collections of both Primula sieboldii, ( above, which will probably be at their peak in his polytunnels) and Sarracenia (Pitcher) carnivorous plants, so there will be lots to see. Wednesday 22 May, 3pm. Mad Hatters Tea Party, Aberglasney. Afternoon tea £12 per person, plus reduced entry fee £7.25 per person (total £19.25) to be paid by April meeting, please. Form on the entrance table at meetings, or let Yvonne know if you would like to attend. Our annual Garden Safari, planned for early June. We’re looking for members to open their gardens, large or small, for members to visit. 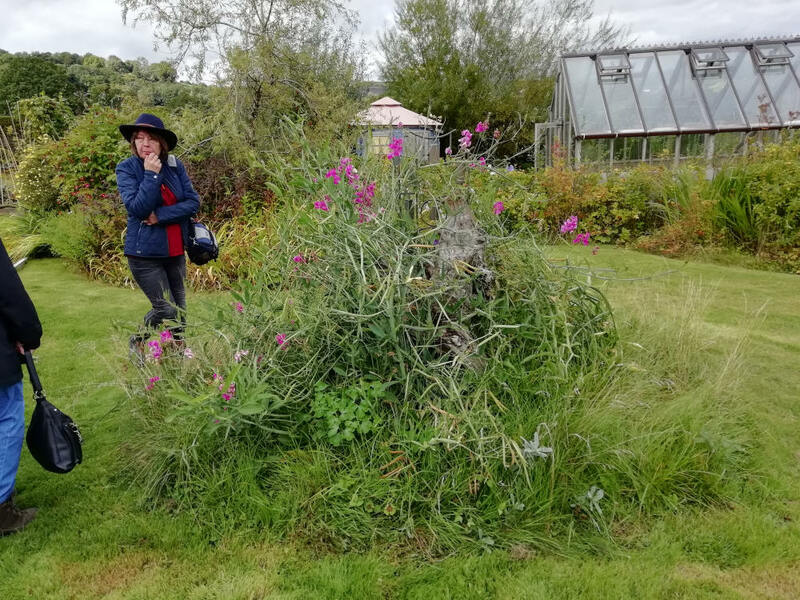 It is always interesting visiting other people’s gardens as there’s invariably something new to learn, even for the more experienced gardeners among us. Is there someone willing to host a shared picnic lunch please? (members to bring food). Exact date to be confirmed in due course. Sunday 7 July, Ceredigion Growers Plant Fair, 10-3pm – forms for volunteers and cake/plant donations available at next month’s meeting. 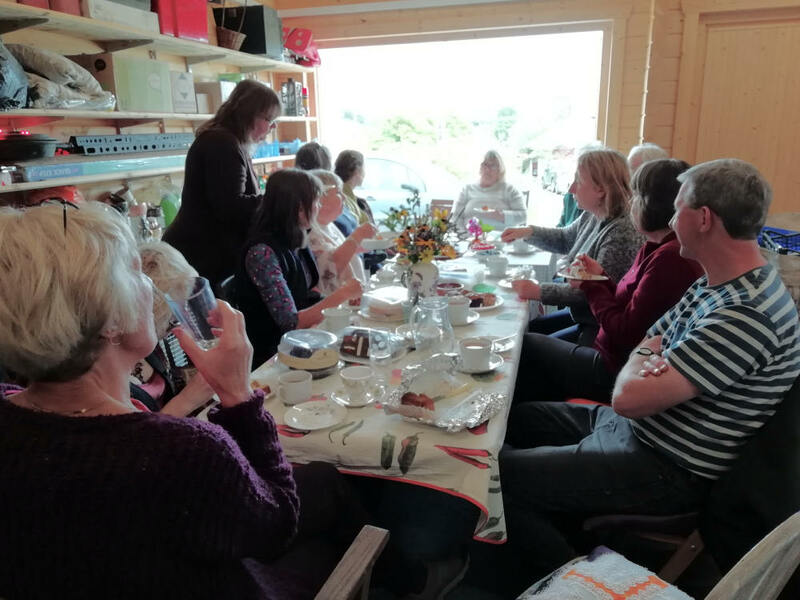 Our August meeting’s growing challenge – edible flowers/leaves in any form, eg cordial, flowers, leaves, cake – edible leaves. For some more ideas on what we can grow, try looking at www.maddocksfarmorganics.co.uk/edible-flowers-list have lists of edible flowers, how to grow them and how to crystallise them. 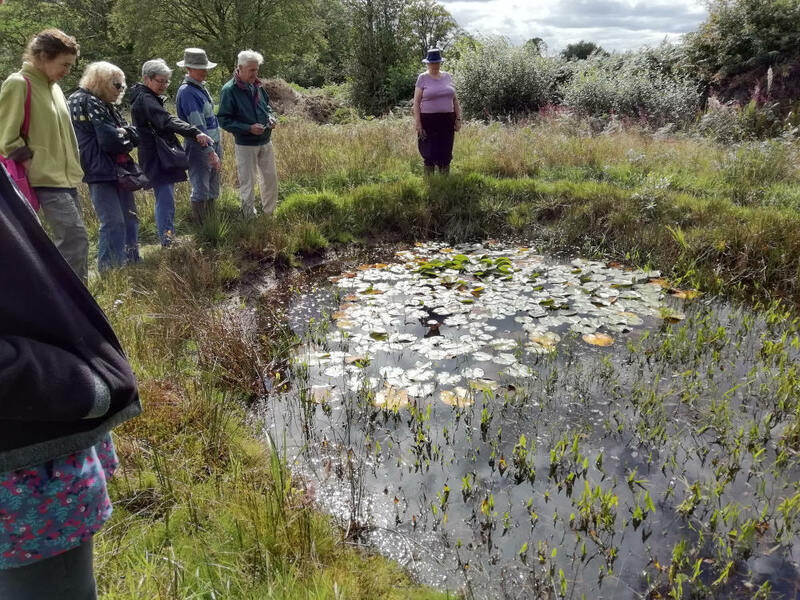 And also for some edible wild plants https://matteroftrust.org/14760/62-edible-wild-plants-that-you-didnt-know-you-can-eat; . 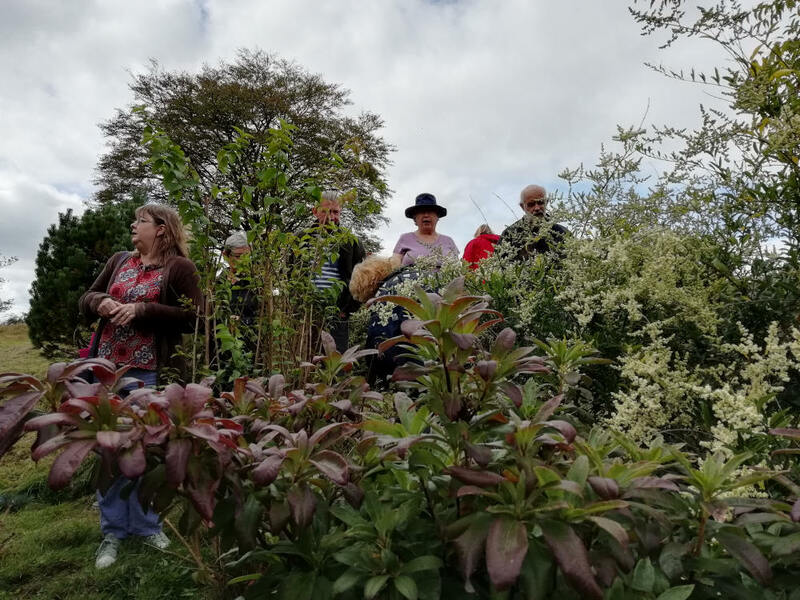 Finally advance notice of our May 15 th meeting when Steve Lloyd from Hergest Croft gardens is coming to Cothi, and is going to be holding a workshop type meeting on plant propagation of all types. For those who’ve never visited Hergest Croft it’s on the borders of England and Wales and has been in the same family for over 4 generations. Click here for more. 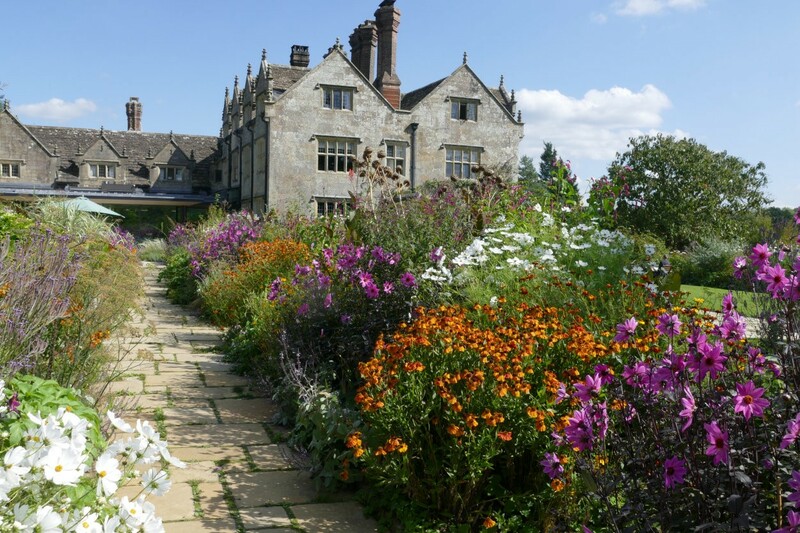 The extensive gardens include a fantastic kitchen garden, herbaceous borders, perennials and a massive collection of over 5,000 different trees and shrubs. Steve went to work there from school in 1980, and is the head gardener. 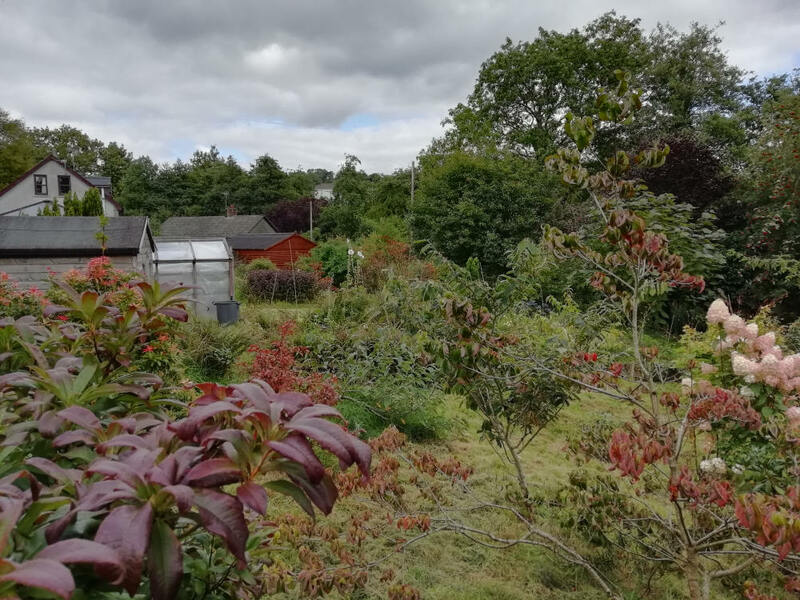 Over that time he’s propagated huge amounts of plants of all types, and will be bringing plants he’s grown for sale, as well as material to experiment with, and show us his favoured methods and tips. 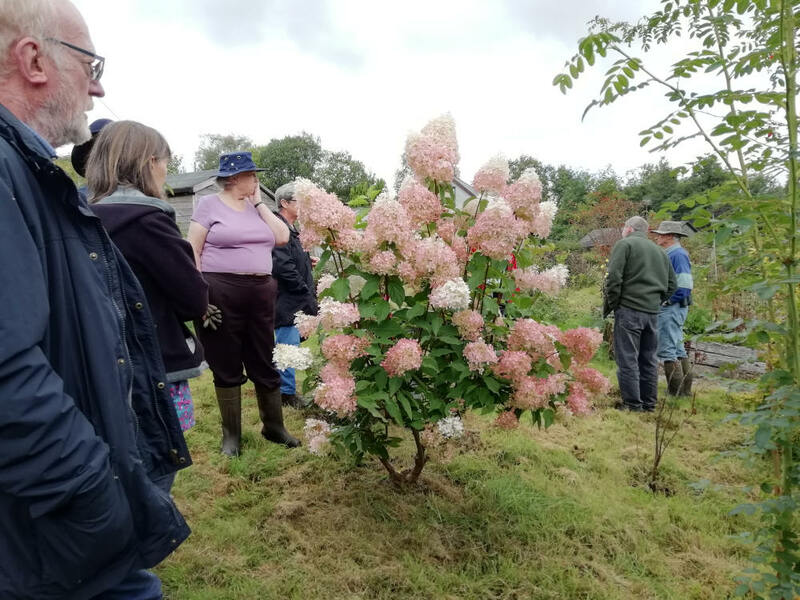 He’s also willing for Cothi members to bring along any plants which members have struggled to propagate and discuss best options. Steve not only has great experience, but is also a very enthusiastic speaker, so I’m sure we’ll all learn a lot from this evening. Book it in your diaries now! 6 April, Leonardslee Lakes and Gardens near Horsham, West Sussex reopens after being closed for 9 years. 240 acres with Loder Rhododendrons, azaleas, magnolias. Wednesday 10 April, 7.30pm, Boncath. Richard Cave of Melcourt Industries, who produce peat free compost, are coming to Llechryd Gardening Club, Boncath. He will be describing the manufacturing process of their products and will bring samples for us to handle and learn their various uses. 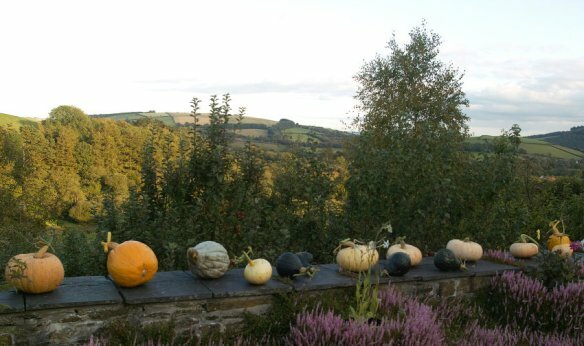 Some CG members use their compost, and also some local growers including The National Botanic Garden of Wales and Penlan Perennials. Entry is free for visitors. They usually have a raffle. See the separate page for the topical tips from last meeting, or click here. 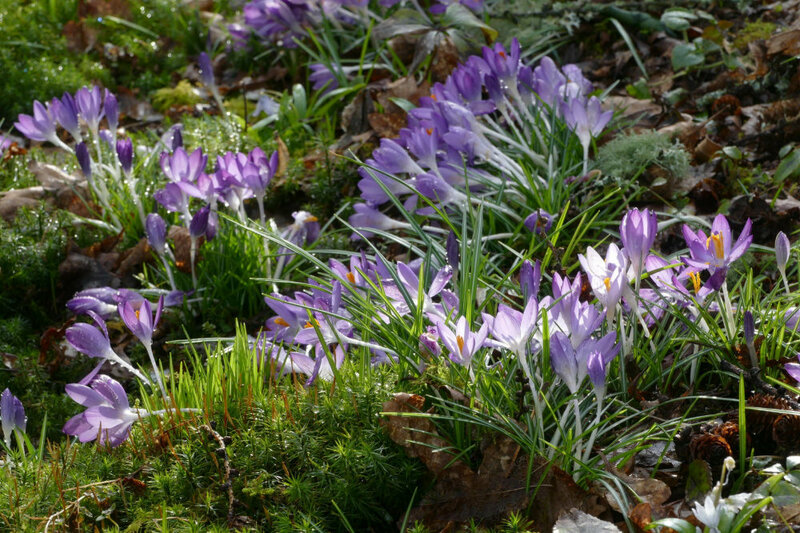 Plants and Tips; Wildflower meadows; Which Compost to Use? 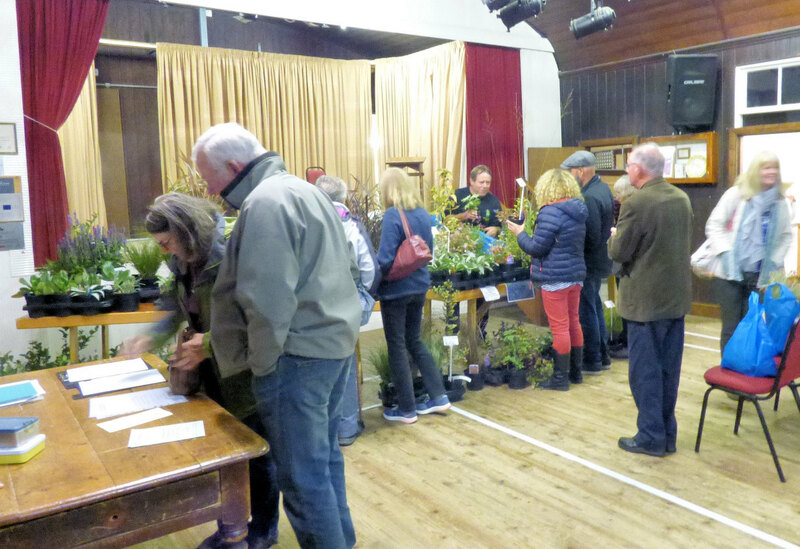 A quick post to remind readers that anyone with any plants for sale to raise funds for the club can bring them along to the monthly meetings where we have a plant stall table at the rear of the hall. Just pop a label in with what the plant is and a fair price. Each year this raises a significant amount towards the cost of our speakers, so we’re very grateful to everyone who brings and buys any plants in this way. Yvonne is also always pleased to receive any members’ topical tips, either before the meeting, or written up on the white board on the night. Everyone will have their own little tips and routines about the how’s, what’s and when’s of their gardening years, so why not pass these gems on to others in the group? 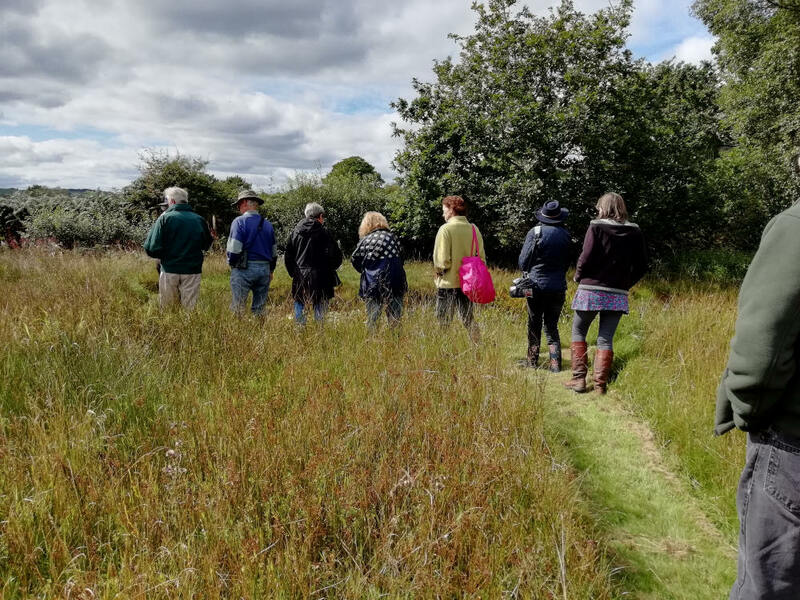 There will be 3 different brief presentations on how CMG members make hay from their small or large meadows ( often a key part of managing a wildflower meadow) as well as a talk by Dr. Lizzie Wilberforce of the Wildlife Trust of South and West Wales on managing grassland nature reserves. So plenty for anyone interested in creating a wildflower meadow area, large or small, to learn from. £3 per person for the morning’s meeting, beginning at 10.00 am. Refreshments included. I’m convinced that all gardeners can learn a huge amount about how plants behave in natural communities from thinking about the spectacular effects that a traditional wildflower hay meadow can create. Click here for more details on the CMG meeting. Choosing which compost to use for growing any plants in containers is always a tricky decision. 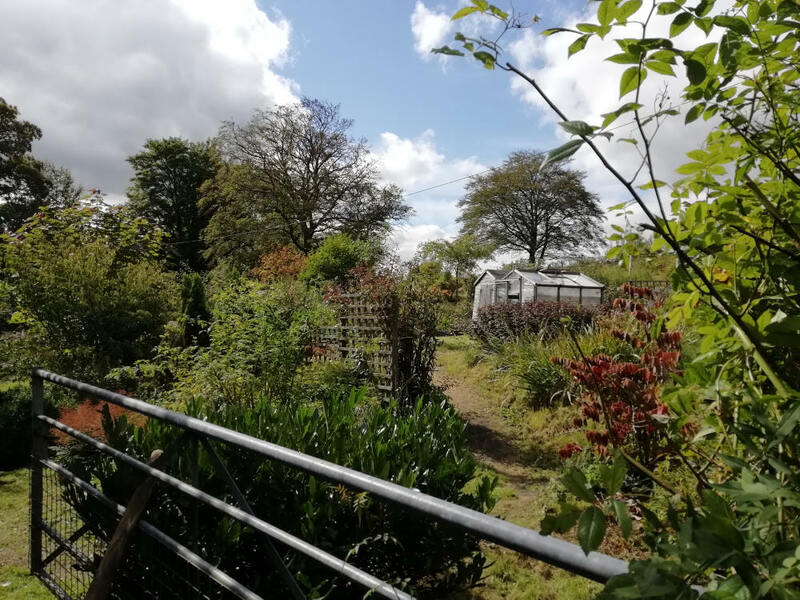 Members may be interested in a meeting at Llechryd gardening club in Boncath on Wednesday April 10th at 7.30 pm, when Richard Cave of Melcourt Industries, who make compost from wood material, will talk about the process and bring along some samples. Held in Boncath village hall. Click here for more on Melcourt. I know some Cothi members use Melcourt and are very happy with it. Next Cothi meeting Wednesday March 20th at 7.30 pm for the talk about the restoration of Abergwili Bishop’s Palace garden. Snowdrops; Bishop’s Palace Restoration project; Tea Party; Summer Plant Fair; Lan Farm. 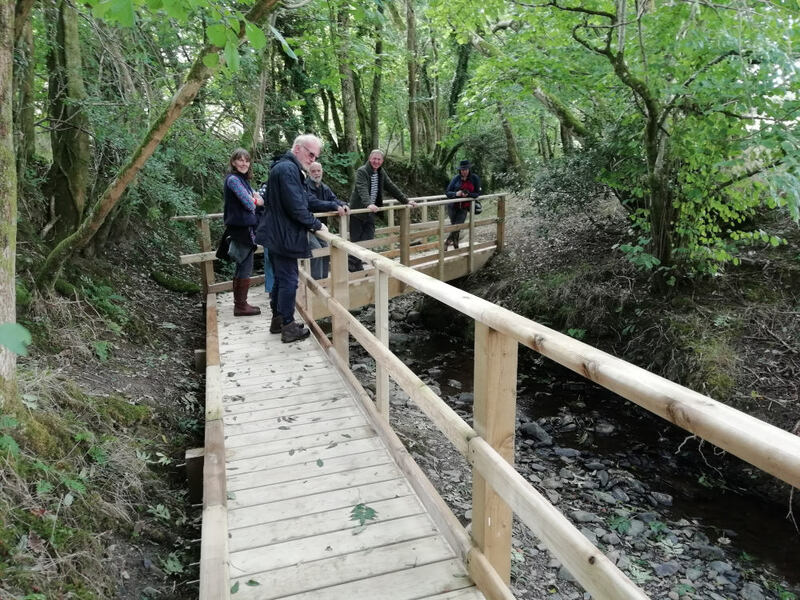 The 2019 programme of speakers began last month with Cothi’s previous chairman Julian giving a talk/slide show on his passion for snowdrops. Not just covering the great variety of snowdrops in an attempt to persuade his audience that all snowdrops aren’t the same, it also dipped into when snowdrops might have arrived in the UK; how best to cultivate them; some of the amazing properties of snowdrops and a little bit about Julian’s project to assemble a database of Welsh snowdrops from pre 1850 sites. This has now probably passed the significant mark of over 150 forms from over 70 sites. It was great to see so many members at the meeting as well as several new faces, some of whom have donated snowdrops from their properties to Julian for his Snowdrop hunt. After the talk, and following the interest in a similar auction last year, Julian auctioned off a number of his snowdrops, most named or linked with historic female galanthophiles, to put across the message that it isn’t just sad old blokes who fall under snowdrop’s spell! It raised a useful £54 for club funds, with top price going to one of the two snowdrops on offer named after chaps – Cedric’s Prolific, selected by the great Beth Chatto from bulbs given to her by the artist Cedric Morris, whose garden it originally came from. Yvonne announced at last month’s meeting that there will be another plant fair this summer, on Sunday July 7th at Coronation hall Pumsaint. Although Ceredigion Grower’s Association will be hosting this year’s events, the gardening club will still have a plant stall, tombola and provide the refreshments, so make a note in your diaries, and look out for more information on how you can be involved and help out, before the big day, or with actual volunteer help on the Sunday. Again, it will be interesting to see what the weather is like this year! 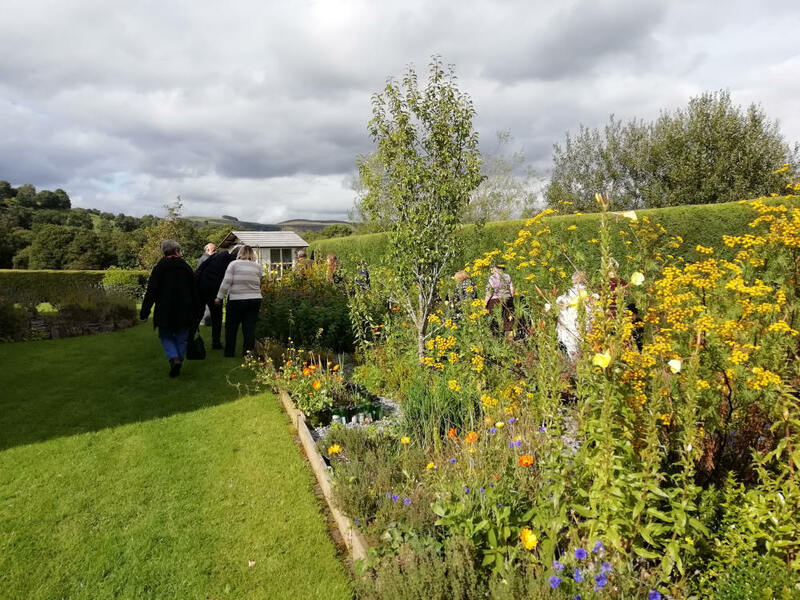 Last year, we were delighted that Karen Thomas from Talley joined Cothigardeners, and for those who don’t know, Karen is another member who has designed and made a beautiful garden which opens for charity under the National Garden Scheme, by arrangement. 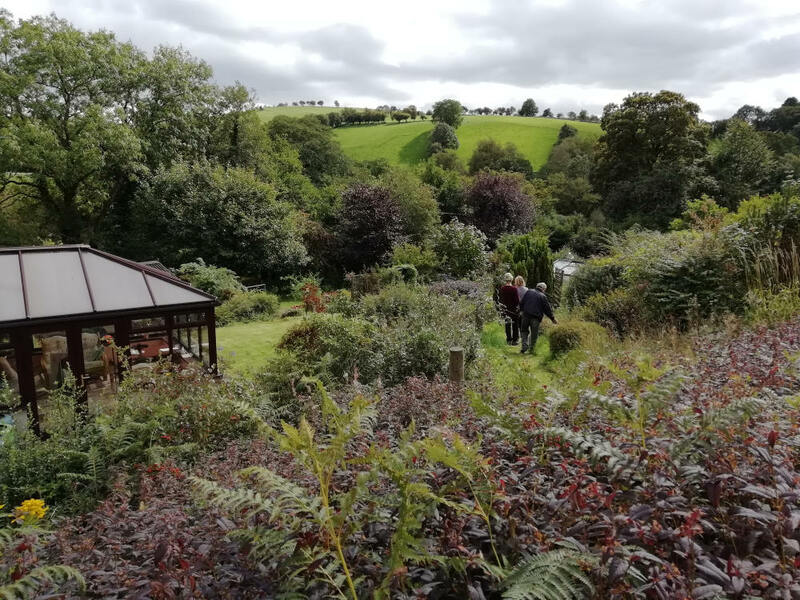 Having visited a couple of years ago, I can vouch for what a special place it is, and Karen joins the 4 other Cothi members who open their gardens some, or most, years in this way – a really impressive thing for such a small club, and all 5 gardens have been created by the current owners, which is even more special. 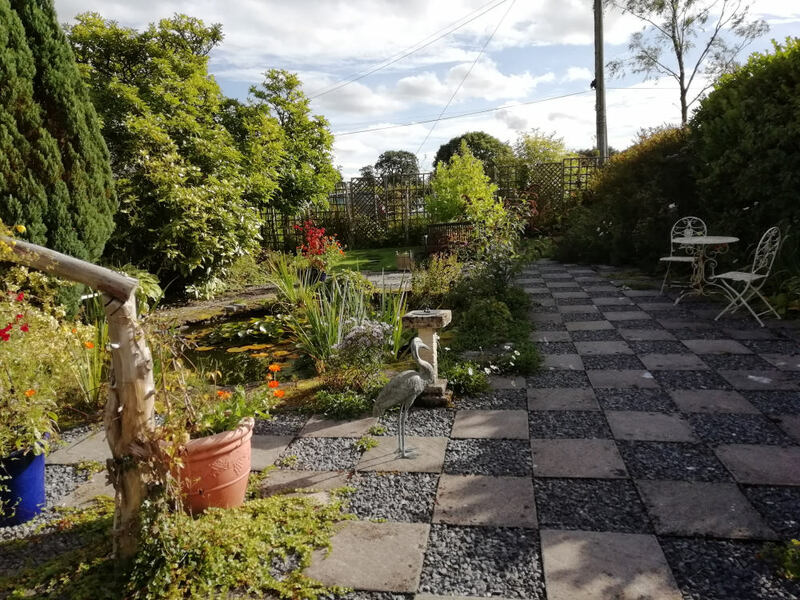 So do think about getting up to see Karen’s really interesting and beautiful garden this year – you’ll get a very warm welcome, and the views are spectacular. Click here for more information on the garden and when it opens to the public in 2019. Bruce Langridge enthralled us with his enthusiastic and informative talk on ‘Fascinating and Phenomenal Fungi’ at our October meeting. Knowing very little about fungi when he arrived at the National Botanic Garden of Wales 15 years ago where his role as Head of Interpretation was “to create interpretation that informs, entertains and fascinates all Garden visitors, whatever their age, gender or background”. 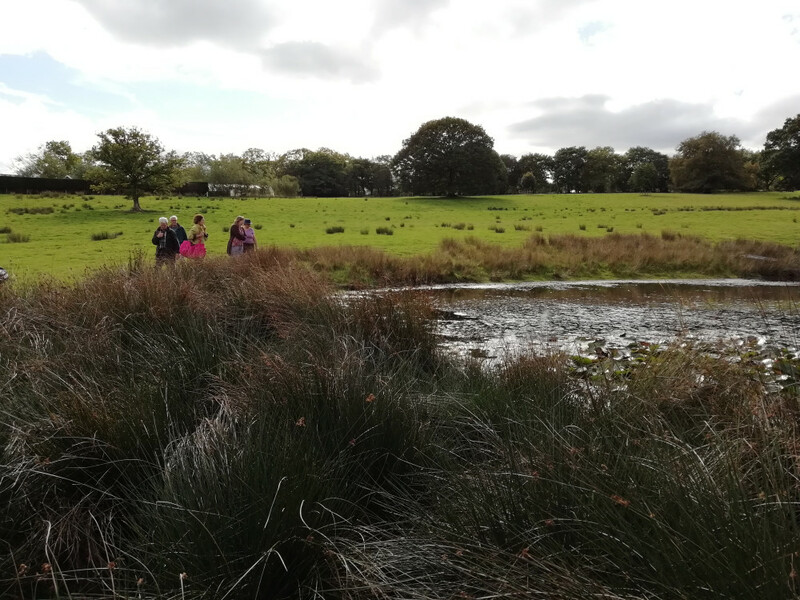 Finding that the NBGW included a meadow of international importance for fungi fired his enthusiasm to find out more and raise awareness of this amazing and important form of life. 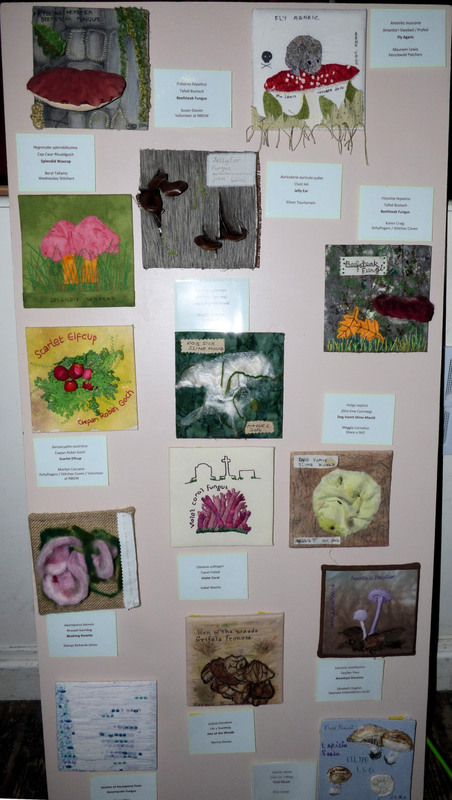 His annual Wales Fungus Day, started in 2013, has been taken up by the Mycological Society in 2015 and expanded into a National Fungus Day. Bruce gave us a potted history from fungi’s evolution over a billion years ago to the present day when it is thought that there could be over 100 million different types. The importance of fungi to the planet’s ecosystem is huge. 85 – 90% of plants have a symbiotic relationship with one sort of fungus or another (fungi don’t photosynthesise and plants are not always very efficient in taking up necessary nutrients from the soil). Certain fungi are indicators of old meadows which have not had modern farming practices applied to them. The pink Waxcap is on such example (coincidentally Julian had counted nearly 70 of these in one of his meadows that afternoon). Some fungi are edible but Bruce advised caution as there are often ‘lookalikes’ which are poisonous; or in one case an edible one can be infected by a poisonous one! 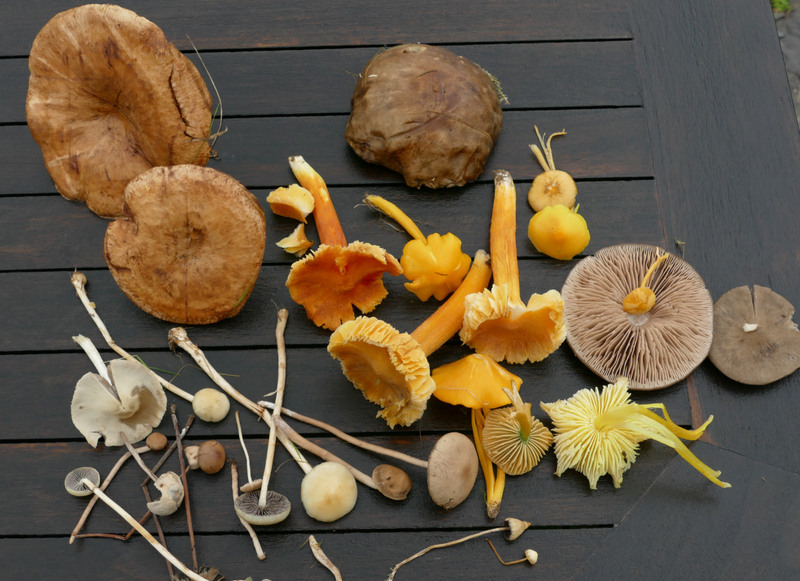 In addition, picking wild fungi causes damage to the fungus through trampling and soil impaction. Other fungi such as Dutch Elm Disease, Ash Dieback and Honey Fungus kill plants, while others have hallucinogenic properties eg. Magic Mushrooms and Fly Agaric and many have been used in Chinese and Japanese medicine for 1000’s of years. One of the top 5 most poisonous fungi in the world, the Destroying Angel, was found by Bruce locally. 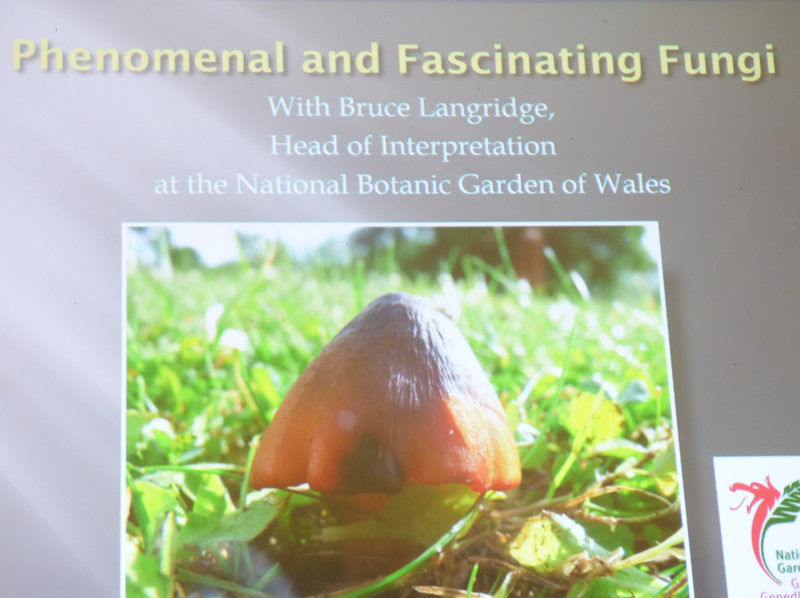 Bruce’s slides and examples demonstrated the diversity of shape and colour from the bright red Elf Cups to yellow Witches’ Butter and the Bird’s Nest Fungus, often accompanied by interesting and amusing anecdotes. If you haven’t already guessed, our speaker in November will be Terry Walton. 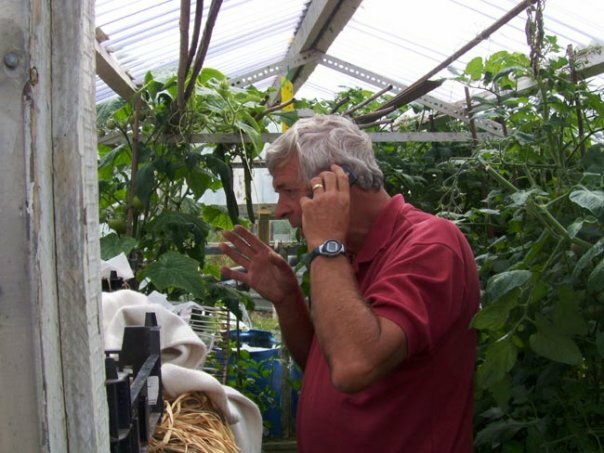 “The Life of a Media Allotmenteer” promises to give us a look behind the scenes as Terry tells us about life on his allotment in the Rhondda and how he has given growing advice on the radio each month for over twelve years. 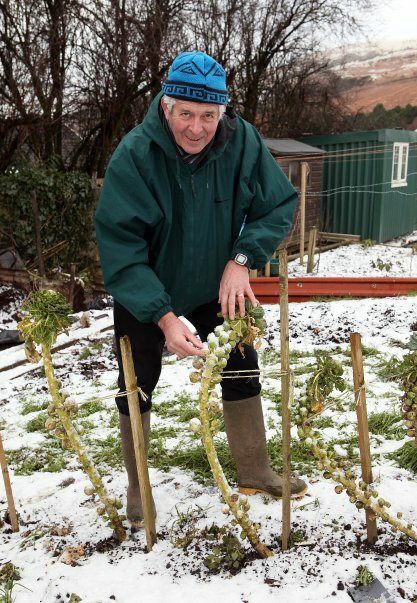 A gardener of over 40 years’ experience, Terry has worked plots on the same site since he was a boy, learning from his father and other allotment gardeners. Many of you will be familiar with his enthusiastic style, so do come along on November 21st to meet Terry. Mobile phones not necessary! 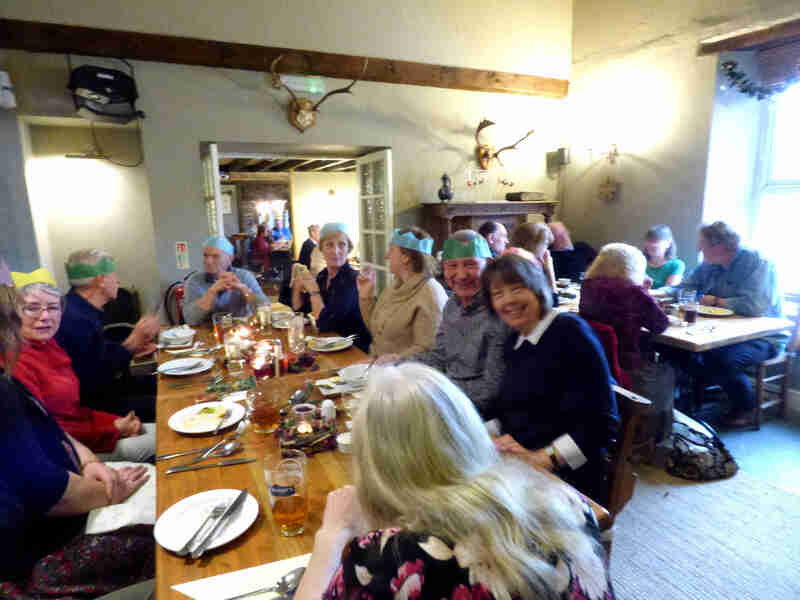 November’s meeting is your last chance to book in for our Christmas lunch. 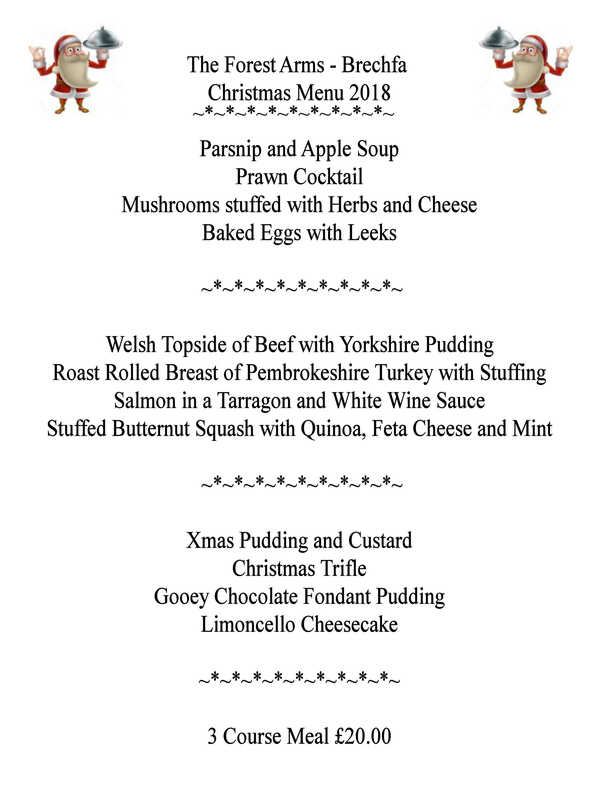 It is to be held at the Forest Arms, Brechfa on Wednesday December 12th from 12.30pm. The form together with the menu (which is also listed in a previous post) will be out on the ‘Meet & Greet’ table. You will need to give your food choices, noting any allergies/dietary requirements, plus a £10 deposit per person. The full cost of the lunch is £20 per person. Lilium regale – A fabulous scented species lily with large funnel shaped white flowers in the summer. The seed pods have just ripened and lilies are fairly easy to grow with fresh seed. Keep it in the fridge until maybe mid March and then sow it in a pot outside. You do need to keep slugs and mice away from them, but you can get good germination rates and it’ll take about 4 years for the lilies to flower. It’s a great time of the year for new planting now, before the frosts arrive, while the soil is still warm and with all that recent ‘wonderful’ rain having soaked the ground…. For everyone with winter squash, it’s probably a good time to ripen them off for about 10 days in a warm, dry place to toughen and dry up the skins, before moving to a cool, frost free place to allow them to store well for longer. This year’s Garden Safari was a highly enjoyable occasion. Both gardens we visited, Ty Dwr and Ddol Brenin were looking lovely. 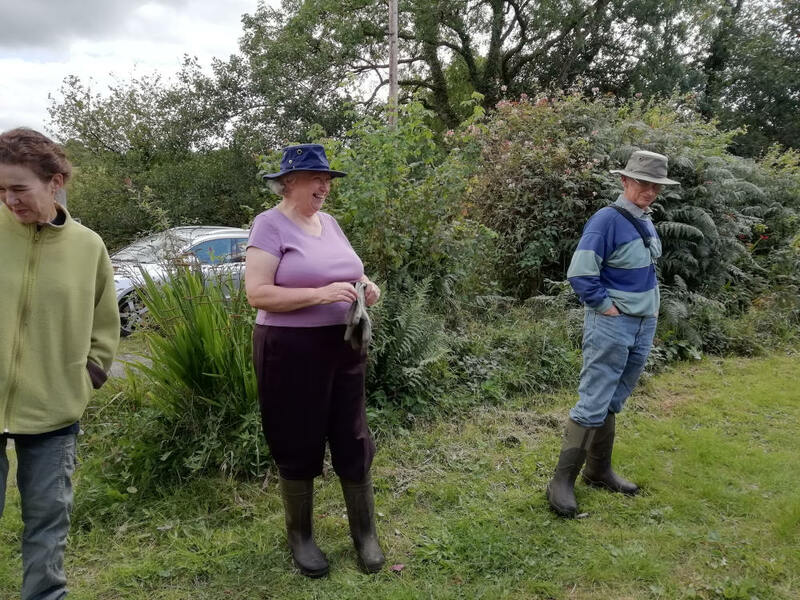 Many thanks to Yvonne and Colin and Tina and Derek for allowing us to see their gardens and to everyone who came for making the afternoon such a success. “We would like to invite members of your Gardening Club to our Open Meeting on Wednesday 3rd October at 7.30pm in the Red Dragon Hall.